14" x 5-1/2" Trailer wheel has 5 on 4-1/2 bolt pattern and 3.19" pilot diameter. Rustproof aluminum wheel has a sleek design in silver. Steel inserts in lug nut wells secure wheel. Complimentary roadside assistance included. Lowest Prices for the best tires and wheels from Lionshead. 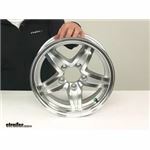 Aluminum Lynx Trailer Wheel - 14" x 5-1/2" Rim - 5 on 4-1/2 - Silver part number LHSL211 can be ordered online at etrailer.com or call 800-298-8924 for expert service. 14" x 5-1/2" Trailer wheel has 5 on 4-1/2 bolt pattern and 3.19" pilot diameter. Rustproof aluminum wheel has a sleek design in silver. Steel inserts in lug nut wells secure wheel. Complimentary roadside assistance included. This wheel comes with complimentary roadside assistance for 2 years. If your RV or trailer has a flat tire, call the help line and a technician will come change the flat for you. You can call 24 hours a day, 7 days a week, and 365 days a year from anywhere in the United States, Canada, or Puerto Rico. This aluminum wheel comes with steel inserts in the lug nut wells. The inserts are pressed into the aluminum, and they help prevent the holes from wearing down over time. 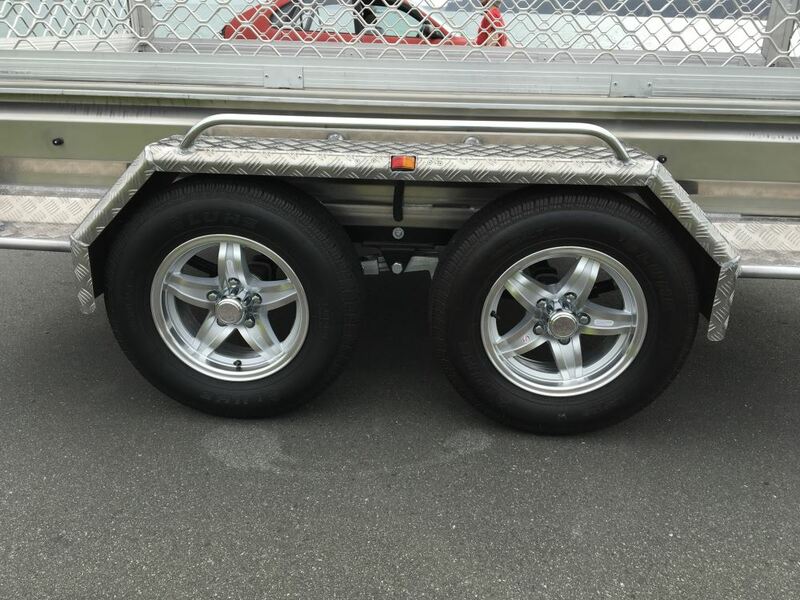 This ensures that the wheel stays secured to your trailer hub and that you won't have to constantly retorque the lug nuts. This 14" x 5-1/2" trailer wheel has a 5 on 4-1/2 bolt pattern and a 3.19" pilot diameter. 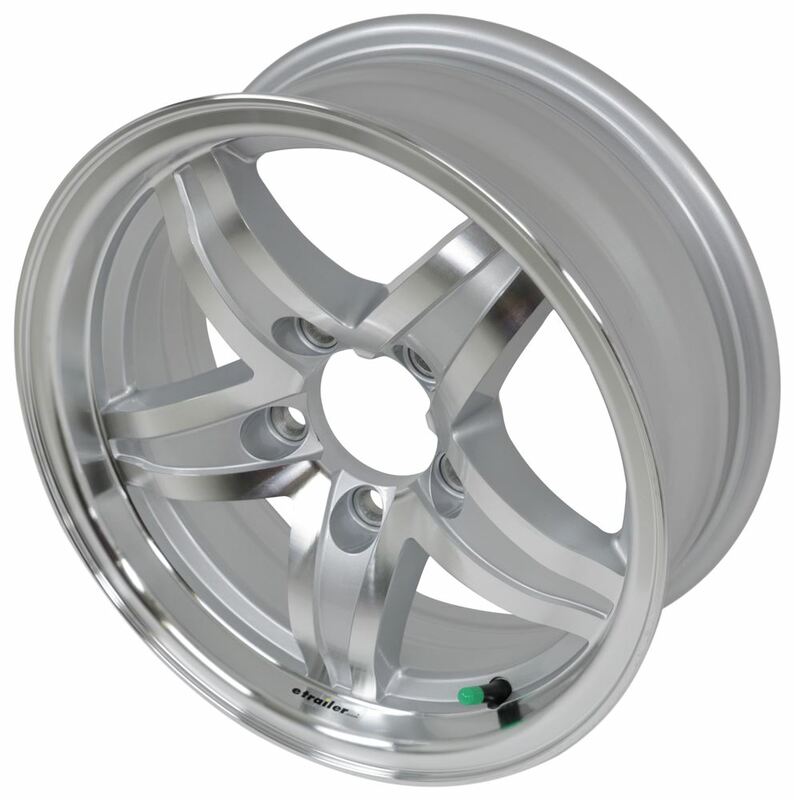 The rustproof aluminum wheel features an attractive star spoke pattern. Improved clamp force technology ensures that wheel stays in place. This 14" x 5-1/2" trailer wheel has a 5 on 4-1/2 bolt pattern and a 3.19" pilot diameter. 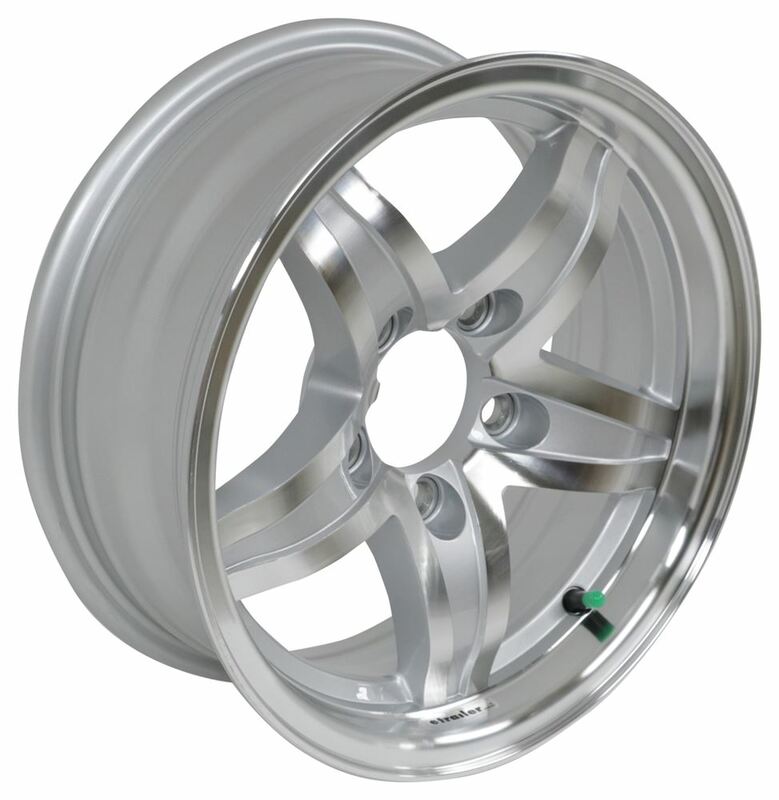 The rustproof aluminum wheel features a split-spoke design in stylish silver. Improved clamp force technology ensures that wheel stays in place. Radial tire has 6-ply rating and 1,760-lb max load at 50 psi. 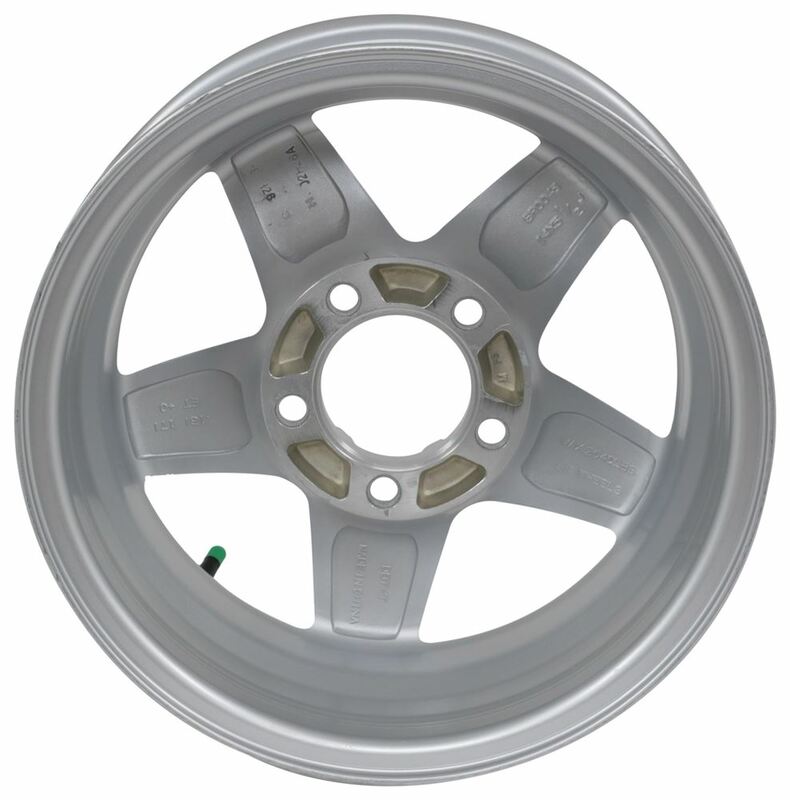 14" x 5-1/2" Aluminum wheel has 5 on 4-1/2 bolt pattern. Nitrogen fill maintains tire pressure. 1-Year No Excuses Guarantee on tire. Complimentary roadside assistance included. Today we're going to be taking a look at the Lion's Head 14" by 5-1/2" Aluminum Links trailer wheel. The aluminum wheel is durable, light weight, and rust proof. It's going to feature this sleek links series design in silver that gives the unit a very nice look. It's going to feature an automotive grade clear e-coat that's designed to protect against scuffs and scratches. The aluminum wheel actually comes with steel inserts that are pressed into the lug nut wells. These inserts help prevent the holes from wearing down over time. It's also going to protect the unit from damage when you install the lug nuts. 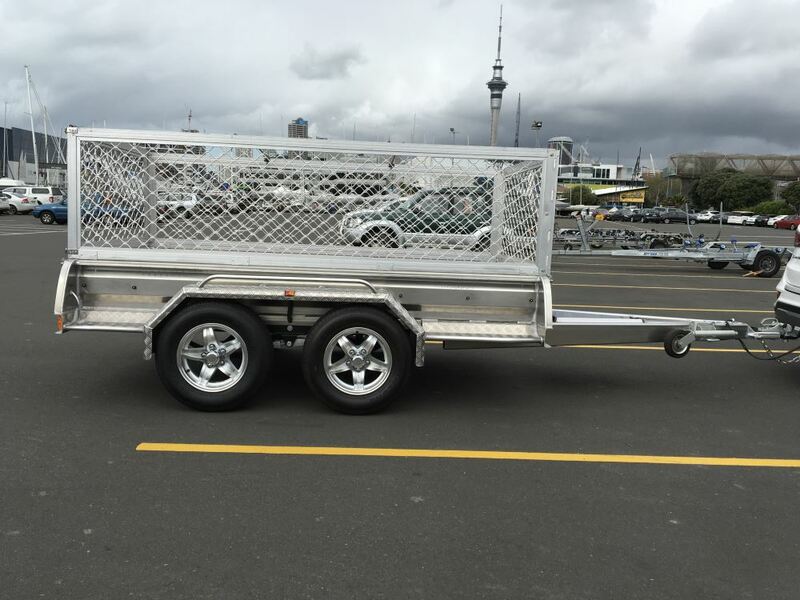 This is going to ensure that the wheel stays secure to the trailer hub, and that you won't have to constantly re-tighten and re-torque the lug nuts. You'll also notice that the valve stem is included. I do want to point out that all the way around the wheel is in great condition. Nice finishing all the way. It meets Department of Transportation specifications. When it comes to the dimension, starting with the diameters measured from inside edge to inside edge, and so if we place a tape measure across there this one's going to give us a measurement of 14" diameter. Then the width is also measured inside edge to inside edge. So on this wheel that's going to measure 5-1/2". So it's a 14" diameter by 5-1/2" width. The bolt pattern is five on 4-1/2". We can tell that because we have an odd number of holes, so that's where we get the five from. To figure out the 4-1/2" measurement what you do is you measure from the center of one hole, go directly across to one of the two holes across from it, and measure to that back edge. So again, bolt pattern for this wheel is five on 4-1/2". Wheel bolt size is 1/2" by 20. Capacity on the unit is 2,040 pounds. Pilot hole diameter, that's the diameter of the hole here at the center, 3.19", and this wheel does not offer an offset. That's going to do it for today's look at the Lion's Head 14" by 5-1/2" Aluminum Links trailer wheel. Order: RelevanceNewestRating - High to LowRating - Low to High 14" x 5-1/2" Trailer wheel has 5 on 4-1/2 bolt pattern and 3.19" pilot diameter. Rustproof aluminum wheel has a sleek design in silver. Steel inserts in lug nut wells secure wheel. Complimentary roadside assistance included. 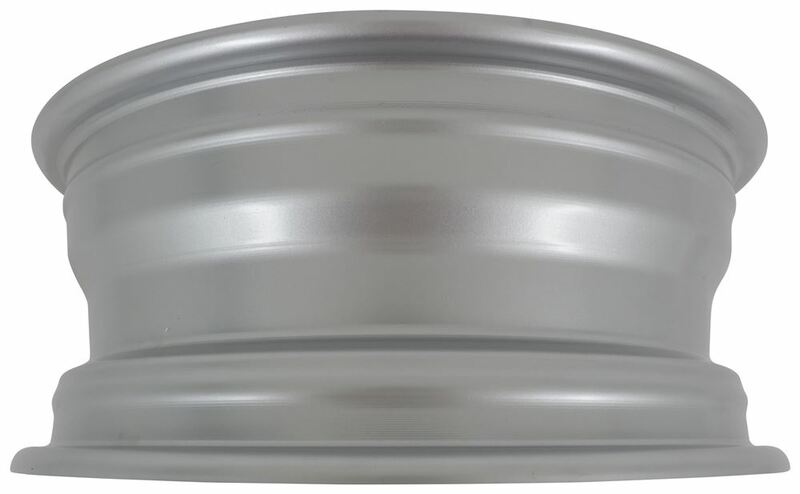 For your Aluminum Lynx Trailer Wheel - 14" x 5-1/2" Rim - 5 on 4-1/2 Silver # LHSL211, I recommend the Lionshead Trailer Wheel Lug Nut - 1/2"-20 - Stainless Steel - Qty 1 # LHLR103 along with the Lionshead Trailer Wheel Center Cap w/ Snap-In Plug - 3.19" Pilot - Stainless Steel # LHCS102-SI60C. If you want locking lug nuts, I recommend the Wheel Lock Set for 1/2" Wheel Bolts (2 Locks, 1 Key) # RG01-150 for greater security. Yes, the Lionshead Trailer Wheel part # LHSL211 that you referenced can easily handle 80 psi. With wheel setups it's the valve stem that will be the limiting factor for PSI, but trailer wheels easily can handle 80 psi. 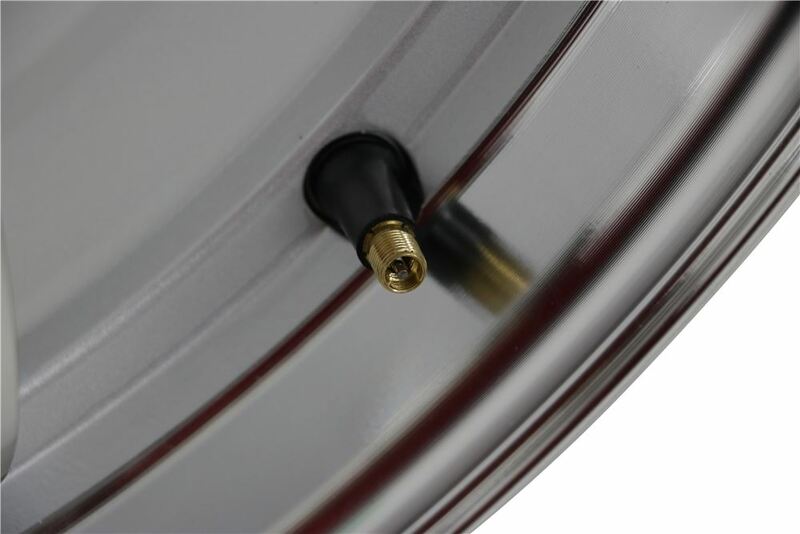 When you go to have the tires mounted you basically will want to make sure the valve stem that gets installed in the rim can handle the 80 psi since they are typically replaced at tire changes. 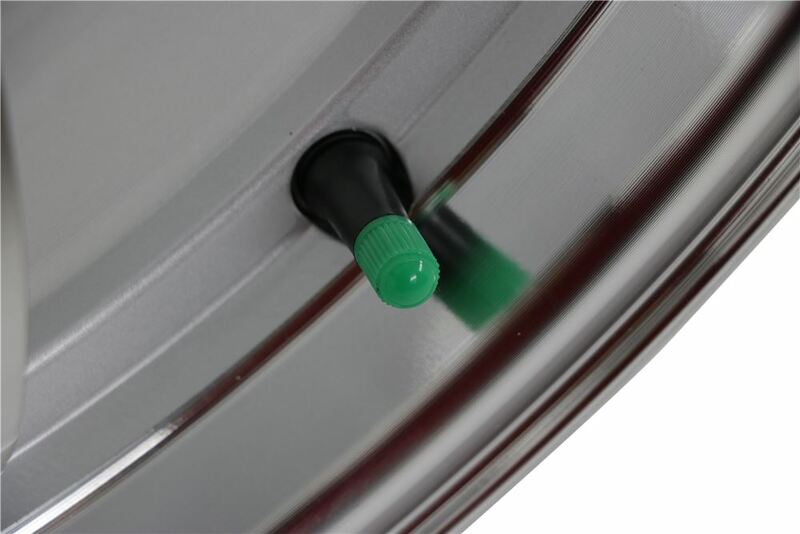 The Aluminum Lynx Trailer Wheel # LHSL211 is ideal for a saltwater application since it is aluminum and doesn't corrode like steel does when exposed to saltwater. This would be a great wheel for you. The wraparound LED tail lights you looked at, part # 271595 for the driver's side and part # 271594 for the passenger, can be installed even if the other lights on your trailer are left as incandesent. Ultimately, I recommend replacing all your lights with LEDs eventually because I think you'll be happier with the brighter lights but you don't need to. I'm glad you like the Lynx wheels, part # LHSL211, you purchased. Thanks for your business.